Peter Tedstrom advises successful clients and their families on all aspects of their financial lives. He draws on 34 years of experience to provide valuable insight and inspire financial confidence, comfort and clarity, especially during times of transition. Using their trademarked tools, Peter and his team customize the wealth planning process for each client to help them work towards their unique goals. 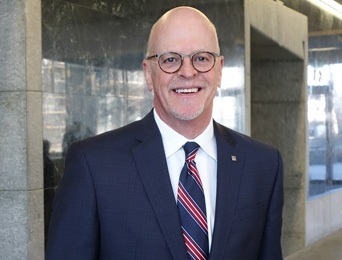 Peter has demonstrated his commitment to the Denver Metro community by serving on boards for multiple charitable organizations including the Denver Rotary Club, Bonfils Blood Center Foundation and the Sewall Child Development Center. In his free time, he enjoys spending time with his teenage children, skiing, traveling and playing golf. * DBJ Top 20 Investment Manager and Financial Planners award based on assets under management. Denver Magazine award issued by NABCAP and based on an evaluation of twenty different practice categories such as experience, credentials, assets under management, fee structure and philosophy among other factors. 5280 & Colorado Biz 2012 & 2015 award based on 10 objective criteria associated with providing quality services to clients such as credentials, experience, and assets under management among other factors. DBJ – Top 20 Colorado Wealth Advisor award based on credentials, experience, revenue, total assets community involvement and compliance record among other factors. Worth magazine award based on nomination, credentials, client retention rate, service and communications approach among other factors. Barron’s award based on assets managed, revenue and quality of practice. DBJ 40 under 40 award based on notable accomplishment in the community. Best of Colorado Wealth Managers & Financial Planners as reported by the Biz Magazine Readers Choice 2015 polling results. 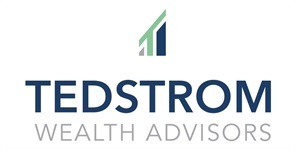 Financial Planning offered through Tedstrom Wealth Advisors, a Registered Investment Advisor.